The Indian leader will visit Mauritius, Seychelles and Sri Lanka between 10 and 14 March. New Delhi plans to provide military and civilian assistance. The main prize will be Sri Lanka, which Beijing chose as a key component of its Maritime Silk Road strategy. New Delhi (AsiaNews/Agencies) - Indian Prime Minister Narendra Modi plans to offer island nations in the Indian Ocean billions of dollars in military and civilian assistance in a bid to wrest back some of the influence China has gained in the region. The Indian leader will start his tour tomorrow with official visits to Mauritius, Seychelles, and Sri Lanka. He was expected to travel to the Maldives as well, but the trip was cancelled because of public order concerns in that country. India and Seychelles are expected to sign an agreement on mapping of the waters around the archipelago during Modi's visit (10-11 March). After leaving the Seychelles capital of Victoria, Modi will arrive in Mauritius (11-13 March) where he will sign a contract for the sales of fast attack crafts under construction in Indian shipyards. The first one will be a 1,300-tonne patrol vessel. "We have practically given Mauritius a coastguard," said Commodore Ranjit Rai, a former head of Indian naval intelligence and operations. During his stay in Port Louis, the Mauritian capital, the Indian prime minister will be guest of honour at the country's Republic Day celebrations (12 March). The last leg in Modi's Indian Ocean tour will be Sri Lanka next Friday and Saturday. 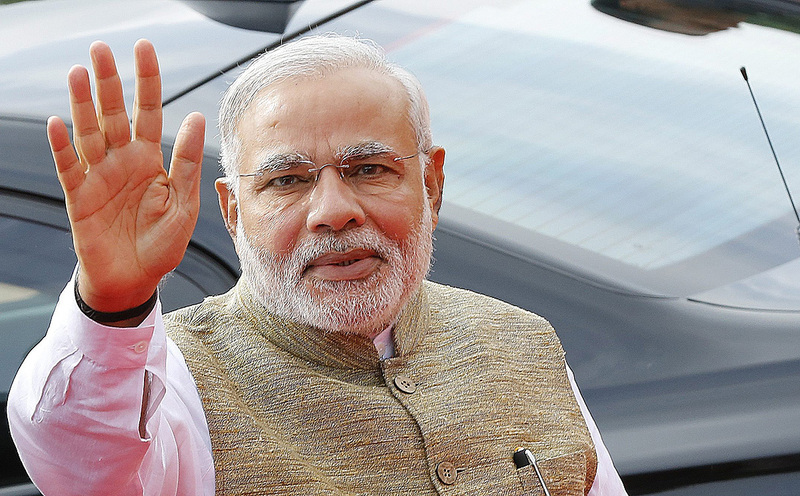 This will be the first visit in 28 years by an Indian prime minister. Sri Lanka tops Modi's agenda because of China's recent push into the island nation as part of its Maritime Silk Road initiative. Under former President Mahinda Rajapaksa, Beijing has invested heavily in the tourist sector, highways, power plants and ports. However, Sri Lanka's new President Maithripala Sirisena has already indicated that his country is opting for a wider view and plans to reboot relations with India. This became clear when he travelled to New Delhi last February, and decided to suspend - at least temporarily - the construction of a massive port city in Colombo: a US$ 1.5 billion project funded by China. "We are not against China but against the Chinese companies manipulated by Rajapaksa regime into corrupt deals that are bleeding the taxpayer," said Sri Lanka's Finance Minister Ravi Karunanayake. In Sri Lanka, Modi is expected to boost defence and security cooperation and push for final approval for a 500 MW power plant to be built by India's state-run National Thermal Power Corporation under a 2012 agreement in Trincomalee, a strategic port in eastern Sri Lanka.